The principals of Progressive Awareness Research Sdn Bhd, Neuro-Fitness LLC have a combined experience of over 70 years in the field of alternative health. Its founder and chief executive has more than 25 years experience with CES and was the former head of CES Labs at Self Regulation Systems, a pioneer in the field of biofeedback. Since it was founded in 2005, the company’s goal has been to bring relief to people who suffer from the stress-related conditions of anxiety, depression, and insomnia. CES is defined in the Code of Federal regulations (882.5800) as a class III neurological therapeutic device that applies current to the patient’s head for the treatment of anxiety, depression, and insomnia. 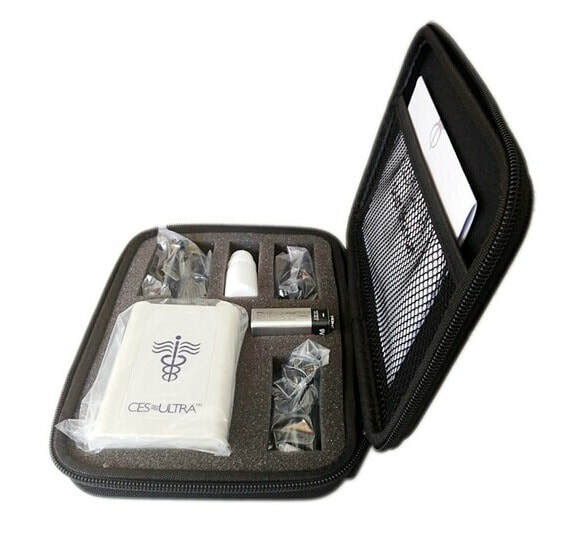 The CES Ultra is regulated by the Food and Drug Administration (FDA). Our pre-market notification number is K895175. We are formally registered in the FDA 510-K database. Has instituted all the policies and procedures required by the FDA for the marketing of a medical device in the U.S.
Rigorously follows these policies and procedures in accordance with standards set by the FDA for Good Manufacturing Practices (GMPs). Progressive Awareness Research is currently looking for distributors for the CES Ultra. Contact Progressive Awareness Research today to inquire about our referral-sales program, how to become a distributor, or to order the amazing CES Ultra for yourself. ﻿Thank you for taking the time to follow up with me. It is great to see effort of people such as yourself to help others with their sleep problems. I have used the machine for almost three months now, usually on a weekly basis. Now I only use it when I find difficulty falling asleep. I turn the device on and within 30 minutes I am asleep. For 15 years I have had constant sleep problems and now thanks to your machine, I am able to get a good night’s sleep.